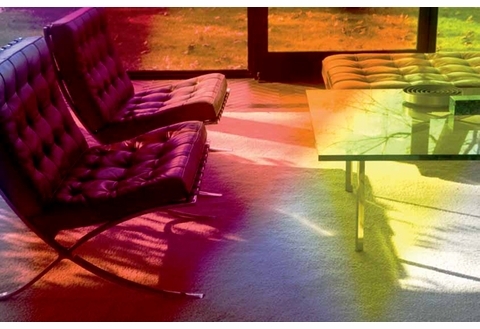 The following interview is reproduced from Damiani's stunning new monograph, James Welling: Glass House, which launches Thursday, January 20th at the Hammer museum as part of the UCLA Department of Art Lecture Series. To view event details, please visit the museum's Events page. SYLVIA LAVIN: So why the Glass House? 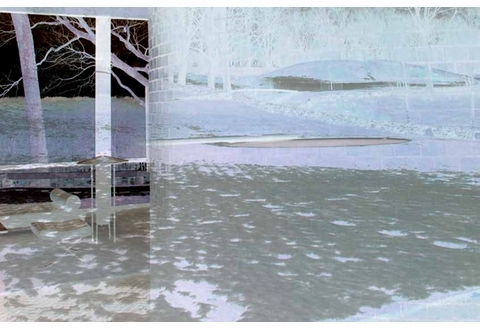 JAMES WELLING: I had a very indirect route to the Glass House. 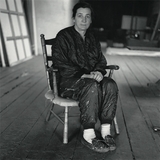 In the early 1980s, I worked in the Department of Architecture and Design at the Museum of Modern Art, first as an art handler, then as a photographer. I helped wrap the entire collection to move it out for the Cesar Pelli renovation. When Arthur Drexler, director of the department, found out I was a photographer, he asked me shoot design objects, furniture, and drawings that were housed in the museum’s Mies van der Rohe Archive. So I got to know the collection and the Mies archive extremely well. From time to time, Philip Johnson would wander in and talk to Drexler. 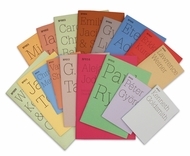 Of course I knew who Johnson was, but since I wasn’t part of the architecture community, I had no reason to talk to him. SL: If I am understanding you correctly, you first came to look at Modern architecture through images, rather than through buildings. JW: Yes. 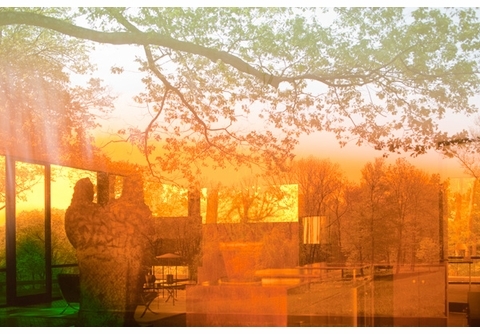 When I started working at MoMA , I was making abstract photographs. But I was looking at lots of architectural photographs in the files and learning about architecture from the collection. A few years later, in 1986, I did a show at Feature in Chicago, and made a pilgrimage out to Mies’s IIT campus. After working at MoMA, I was very, very interested in Mies. A few years later, I did begin an architectural project, but not about Mies. Probably in reaction to my time at MoMA , I made an extensive photographic survey of buildings by H. H. Richardson. Then, jumping forward eighteen years, in 2006 I did a show at Donald Young in Chicago and made another pilgrimage, this time to see Mies’s Farnsworth House. When I saw it, I completely fell for it. 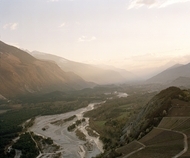 I went back a month later and took photographs. 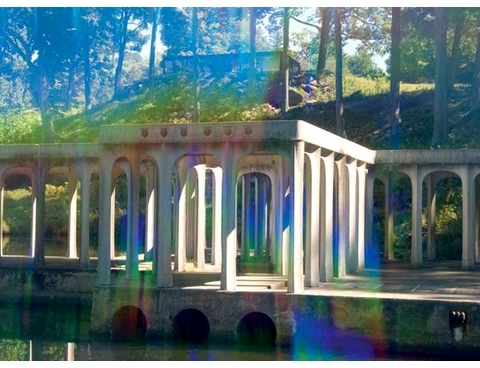 At the time, I was making multiple exposure photographs using six colored filters (red, green, blue, cyan, magenta, and yellow) and I photographed Farnsworth this way. 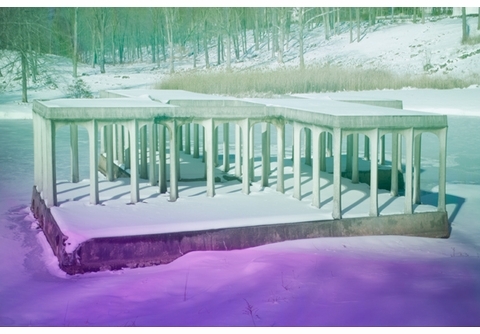 I showed these pictures to Jody Quon, the photo editor at New York Magazine, and she asked me to do something similar with Johnson’s Glass House. SL: This project, then, has a long history that can be said to begin at the Museum of Modern Art as you were packing up the Mies archive, putting shrink wrap and bubble wrap and other sorts of semi-transparent things around these objects. You were already producing a filtering system through which you would see these works. 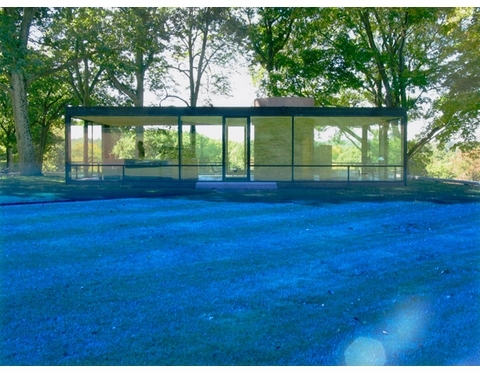 But while you started with the Farnsworth House, which is where it is often said that Johnson’s Glass House began, the Mies having been for decades understood as the original from which Johnson made a copy, you ultimately ended up with the Glass House as your subject. How do you explain the shift? JW: You approach the Farnsworth House through the woods. It’s completely magical to arrive at this glowing, transparent house that you’ve glimpsed through the trees, with a big travertine deck, the beautiful stairs, and the incredible interior. I remember taking a slew of pictures at Farnsworth because it was just so beautiful sitting there in this green landscape. I didn’t want to leave it. At the time, I thought that it was a perfect building in the landscape. Three months later, I visited the Glass House. For some reason, I never bothered to look at photographs of the Glass House before I got there. I thought of it as a very conceptual house; I knew it was just a glass box. When you first see the Glass House, it looks almost crude. There’s no beautiful deck as there is at Farnsworth. The Glass House, which is much bigger than it appears, sits directly on a brick base on the earth. And right behind you, as you look at the Glass House from the classic viewpoint, is the Brick House, a completely windowless facade that stands like a brutal, impenetrable structure in contrast to the Glass House. As I worked on the property, I began to appreciate the simplicity and brutality of these two buildings, and became hooked on the Glass House over the sophistication of Farnsworth. As I have been thinking about the Glass House recently, I see it as a lens sitting in the landscape animating or activating all the other buildings on the property. You always look back to the Glass House from wherever you’re standing. SL: Your ultimate preference for the Glass House is strikingly in keeping with the postmodernist pleasure in the copy rather than admiration for the original. Not only do you seem to understand the Glass House as a kind of reproduction of the Farnsworth House, you also seem to get close to describing it as a photographic reproduction in particular, as a lens that produces a potentially infinite series of images. 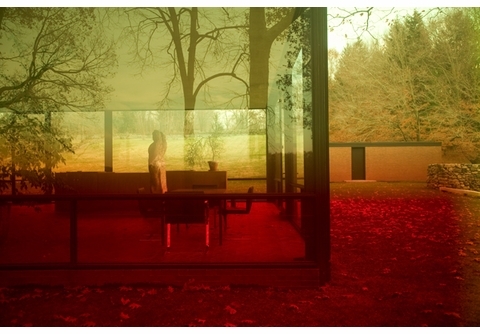 In your analysis, the Glass House becomes a proleptic James Welling or James Welling becomes a retroactive manifesto for the Glass House. In this scenario, the Farnsworth House is not a digression, rather it is embedded in a productively critical reading of the Glass House, which is why I’m so interested in hearing you describe the difference between them. JW: Well, I came to the Glass House via Farnsworth, but I quickly saw the Glass House as a complex of structures. 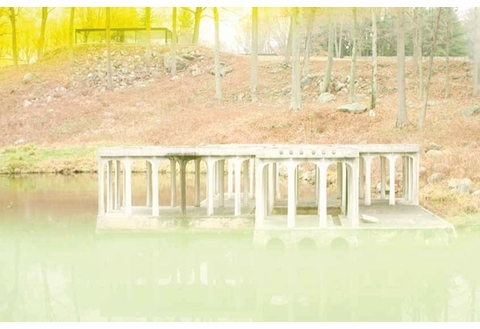 Farnsworth is a single pavilion. The Glass House starts out as a pair of buildings, and these multiply into over a dozen structures over time. Still, the Glass House is always the focus when you are in the other buildings. SL: The Farnsworth House entered the cultural imaginary as a perfect object, so perfect that it could not withstand human habitation. 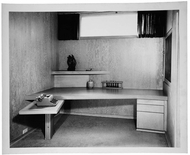 Edith Farnsworth, the woman who commissioned Mies to design it for her, was never comfortable in the house. She found herself to be a kind of smudge on its perfection. The Glass House, on the other hand, has until recently been thought of as somehow lacking. But I wonder if this very imperfection is what invites you to intervene. Hbk, 13 x 10 in. / 112 pgs / 45 color.